A pencil skirt is essential to any wardrobe and ’Geometrics’ skirt will easily be the statement piece of your outfits. 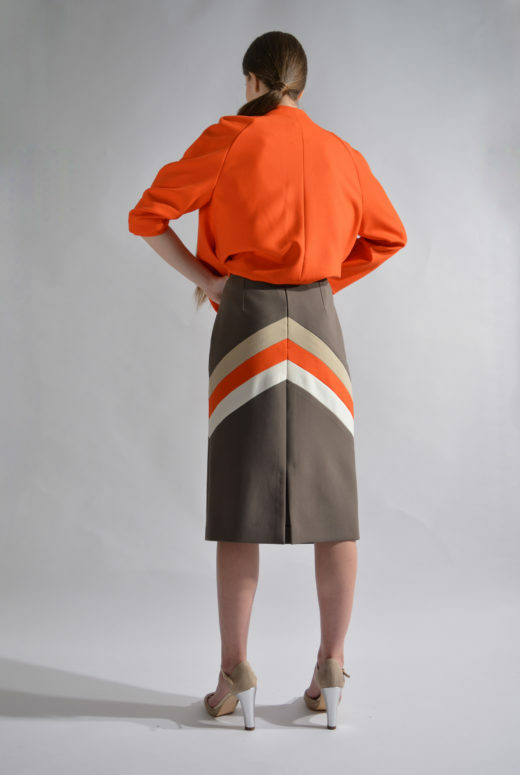 Designed to sit at the narrowest part of the waist, it’s cut from graphic colour blocking panels that’s darted to flatter your figure. Echo the style with the matching top, or take a pared-back approach with a monochrome top.